This free screening of The Musical Politics of Camilo Restrepo is presented as a partnership between Queensland Film Festival and the Institute of Modern Art. 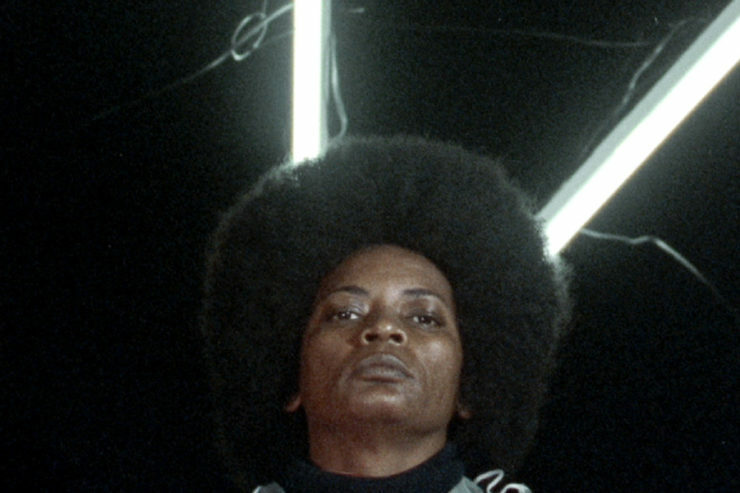 There is a split in Camilo Restrepo’s films, between his early punkish street works, and his recent percussive chants. But they are bound by mythos and music, a tracing of diasporas, and a political fury ready to boil over. For over 70 years, Colombia has been confronted with internal armed conflict. Over the years, the outlines of the conflict have grown indistinct. Violence and barbarity have worked themselves into every aspect of daily life, and fine traces of it mark the streets. Impression of a War offers a vision of some of those deliberate, accidental, ostensible, fleeting or dissimulated marks. The Choco area in Colombia remains isolated between sea and forest. There, religious missions, military operations and touristic projects amongst others have come and gone, coexisted and ignored each other at the same time. Judgment put aside and free of narration, Tropic Pocket captures images to witness and justify these actions, leaving behind their argumentative weight. The spectator will decide which amongst these layers of reality and mystification are the most deceitful. To keep a promise made to her dying mother, a young woman goes off in search of her father, a womanizer she has never met. Along the way, she soon learns that he is dead. Carried by the spell-binding rhythm of the maloya, a ritual chant from Reunion Island, Cilaos explores the deep and murky ties that bind the dead and the living. A man learns his daughter has been brutally murdered by her husband. Time stands still as he oscillates between the need for solace and his urge for revenge. A musical featuring Guinean percussion master, Mohamed Bangoura (Red Devil), loosely based on his own story.